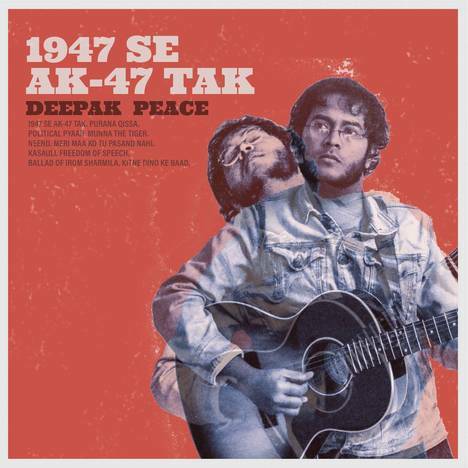 1947 se AK-47 tak | Deepak Peace | OK Listen! 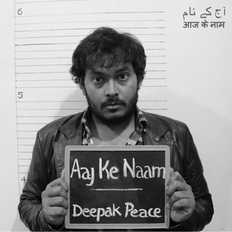 This is a second new 10-track album by Deepak Peace, this time accompanied by collaborating musicians. '1947 se AK-47 tak" makes an inward journey understanding how politics enters our personal lives and connects us back to the politics of the world at large. A journey that starts from Indo-Pak conflict tragedies and moves through media hypocrisy, patriarchy, environmental crisis, rise in intolerance, woven together with love, longing & hope. The musical landscape hence is also different from the last album pushing the dreaminess of the poetry.